Plant propagation can be as simple as sowing a seed, or rooting a cutting to grow flowers, herbs, vegetables, fruit, shrubs, and more. Let’s look at the basic methods and recommended resources so you can get started. If you would like tutorials on propagating specific plants, see How to Grow Plants from Seeds and Cuttings. For those of us who start gardening as adults with little or no experience, it’s pretty common to buy established plants and perhaps start some veggies from seeds. Once you fall in love with plants and want more of them, learning some basic plant propagation methods will serve you well. While you won’t have the instant gratification of buying plants, you will save heaps of money and—better still—discover the intriguing world of how plants grow. We can grow new plants from seed or vegetative matter (using parts of existing plants). Growing from seed is the most basic way, but not always the most efficient. Seed sowing is excellent for things like quick-growing veggies, but unrealistic for mortals with limited time on earth who want more of their favourite flowering dogwoods. Besides rooting plant cuttings, there are numerous other propagation methods as well, depending on the plant and season. Have a look at the basics (below) and get ready to grow your own garden. I’ve included lots of propagation terminology to scare you off (kidding), to get you comfortable with it. You’ve probably heard many of them and now you can start trying them. Once you see how simple it is, you’ll wish you had started much sooner. These are two of my favourite books on plant propagation. They have photo tutorials for growing plants from a variety of methods. Once you know the basics, it’s super fun and addictive. Grow Your Own Garden by Carol Klein was the first one I bought and still the one I refer to most. Seed starting is the most popular propagation method for home gardeners, and a great choice for many plants like quick-growing veggies. I’ve been growing plants from seed for many years and it still seems magical every time. My eBook, Seed Starting for Beginners: Sow Inside Grow Outside has everything you need to know to start a variety of plant seeds including annual and perennial flowers, vegetables, and herbs, if you would like a good beginner level guide. As you get into this, you’ll notice these terms for the basic seed types and characteristics: heirloom, hybrid, open-pollinated, and genetically-modified. This explains more about seeds. Seeds go from dormant to germinating with changes in moisture, temperature, oxygen, and, in some cases, light. It’s different for each type, which is why it’s best to follow the instructions on your seed packets. Water – Moisture, humidity, pre-soaking (to soften the outer seed casing). Scarification – Scratching the seed coat to allow water to penetrate it. Stratification – Pre-chilling seeds before sowing. 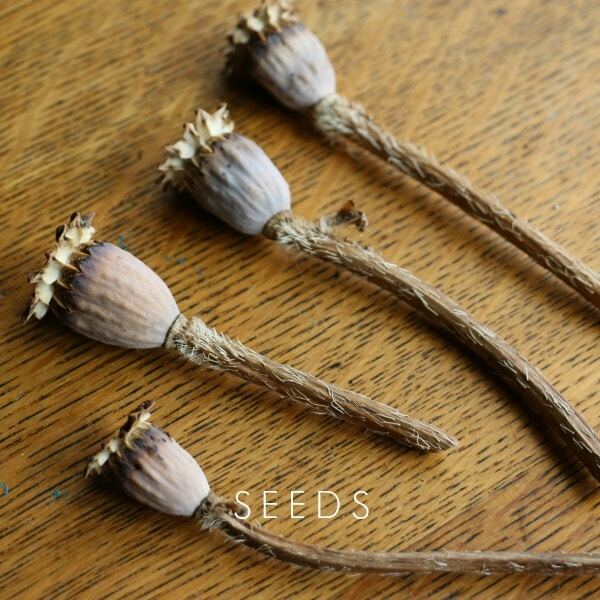 Light or dark – Some seeds need light to germinate, most do not. Temperature– In addition to moisture, seeds need certain temperature ranges to germinate. 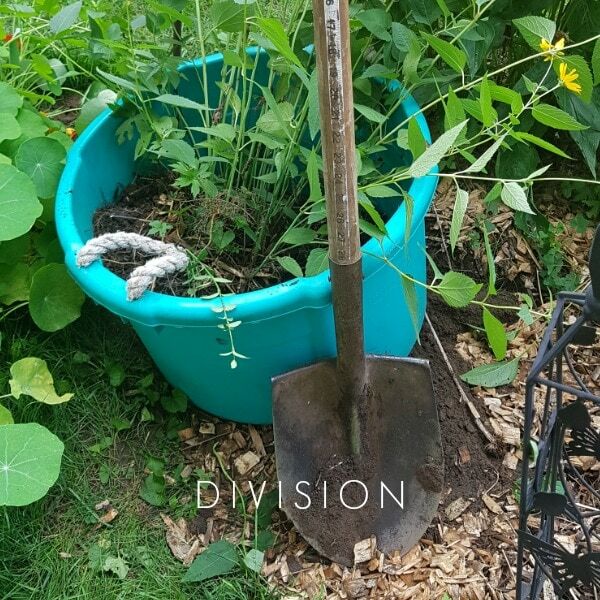 Division is suited to herbaceous plants that grow in clumps. Division is required when a plant is overtaking its space or exhausting resources. I divide plants to both maintain their heath and get new plants. You may either dig up the entire plant and divide the root mass above ground, or dig into the soil, and remove individual clumps for transplanting. Root systems can be fibrous, fleshy, or woody. Rhizomes | Bearded Iris, Elephant’s Ears Alocasia spp. While some plants are very forgiving, it is best to learn the basic anatomy of the plant’s roots before division, so you do minimal harm and get healthy divisions. This very basic guideline will serve you well. It also applies to pruning. The best time to divide plants is after flowering. Spring and summer bloomers are divided in fall. Fall bloomers are divided in spring. I’m sure there are exceptions, but, overall, if you keep this in mind, you’ll have successful plant divisions without forsaking a season of blooms. Also see, 10 Popular Perennials to Divide and Transplant in Fall. When we propagate by cuttings, we remove a section of the plant and root it to grow on as a new plant. There are many plants that can be propagated this way and it’s much faster than growing from seed. Cuttings are clones of the parent plants with identical genetic code, whereas seeds may not be. If you want to grow the same lilac your mom has, take cuttings to propagate more. 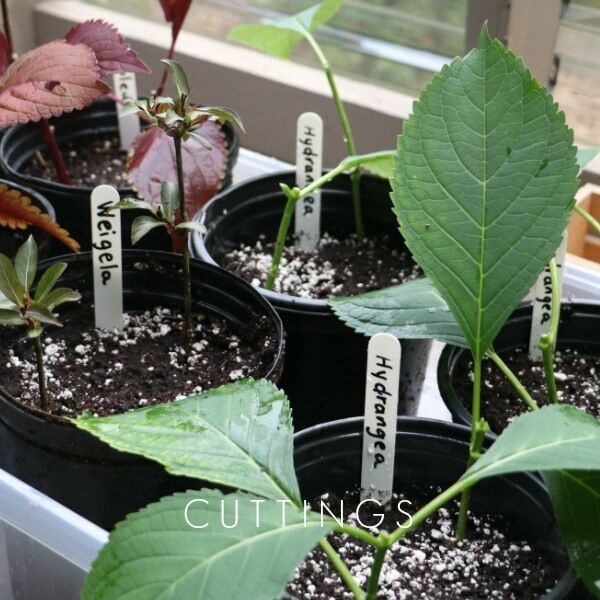 This video shows hardwood cuttings in fall. The method is almost identical for taking softwood cuttings in spring and summer. Greenhouses use mist systems (to maintain humidity), automatic watering systems, and bottom heat, to speed up root growth. While not as accurate or prolific, we can mimic these conditions with supplies at home. Have you ever seen a raspberry plant with the canes bent over, touching the ground? Sometimes this triggers root growth at the point of contact. 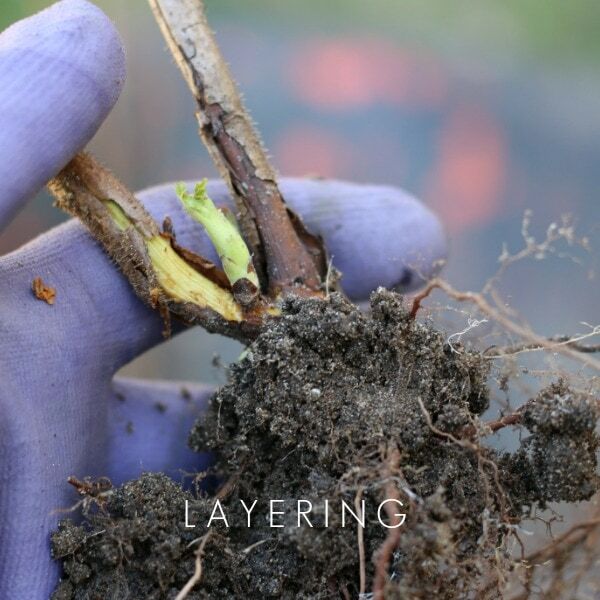 That’s layering, and it’s a method we can employ intentionally with cultivated, woody plants. Layering takes time: it can be a year or more for the roots to adequately form. Eventually, we severe the new plant from the parent, leaving it in place until it has recovered and is ready for transplanting. 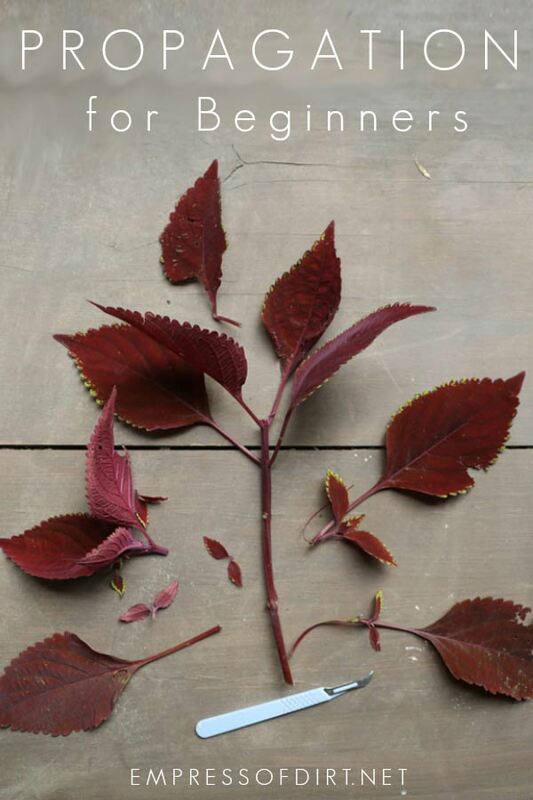 Again, a good book on plant propagation will illustrate all these methods with step-by-step instructions. Ever see a grafted fruit tree? Grafted trees have two (or more) rootstocks have been joined to grow together as one tree. I have grafted apple trees where the base is one tree type, and the upper branches originate from different apple trees. This means the different cultivars can pollinate each other in spring and I get a variety of apples in the fall—all from one tree. If this method interests you, I would suggest getting a good reference book or find a site or group of enthusiasts to explore this with. If you’re new to gardening, seed starting is a natural place to start. I’d definitely go for that, growing things you want to eat or favourite ornamental plants, particularly ones that are hard to find at plant nurseries. I’d also encourage jumping into propagation with cuttings as soon as you can. Even if you don’t have your own plants to take cuttings from, a friend may have some available. Once you see how it’s done, it’s incredibly simple, takes just a few minutes, and eventually yields lots of free, new plants. Layering takes place right in the garden. It’s a set-it-and-forget-it method, requiring little effort. 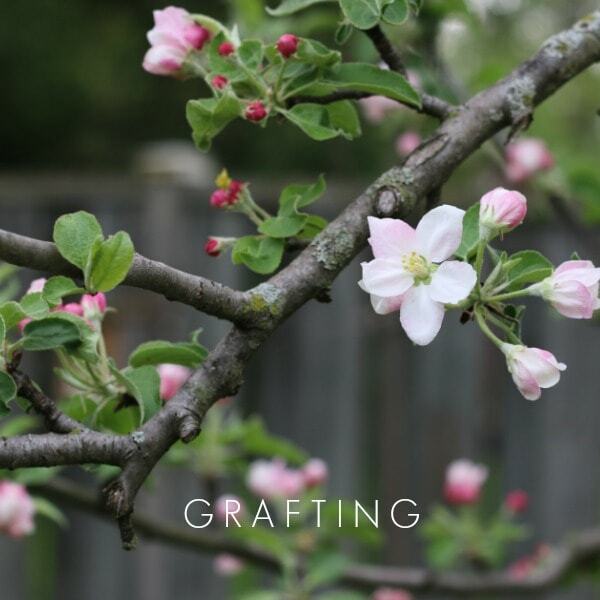 Grafting can get nerdy (in a good way), has neat possibilities for creating new fruit trees, and suits gardeners who misses science class. While I divide perennials all the time, I’ve never rooted anything! Thank you for the tips, I’m going to try this for sure!